To make positive changes where they live and work, communities, policy makers and place makers need reliable information about Welsh places. 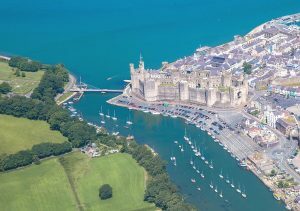 The Understanding Welsh Places website will present useful, available data about more than 300 towns and communities in Wales in a format that is quick and easy to use. People will be able to use this data to identify opportunities in their areas now and in the future. Understanding Welsh Places will be different to other data portals because people will not need to be experts to use the website. The site will also present data at the level of towns and larger communities, rather than that of local authorities. A focus on exploring similarities, contrasts and interrelationships between places will help users to interpret and interact with this data in new and dynamic ways. We are especially excited that the site will include maps of commuter journeys between places, an informative yet non-judgmental typology of Welsh places and assessments of the interdependence and resilience of Welsh places. Understanding Welsh Places will feature data about every place in Wales with 1,000 or more residents. This will include information about people and communities, employment, travel, education and skills, economic and environmental resilience, access to services, culture, heritage and the Welsh language. Communities will also be able to add information that helps to build up a picture of their places to the website. The site will include links to a choice of toolkits for creating a place-based plan or place audit. Once a community has created its plan or audit, this can be sent to us to be posted on the website. We have made decisions about what to include on the website and what to leave out in response to the availability of quality, reliable information and to conversations with potential users. The data will vary for different places. In particular, there may be less data available for smaller towns and communities with fewer than 2,000 residents than for larger places. Why are we interested in towns? A significant proportion of people in Wales live in towns. Too often, however, town communities are overlooked by public policy. While targeted funding exists for city regions and rural development, there is nothing specific to towns. There is also a lack of data about towns to inform policy development and evidence existing good practice. The Institute of Welsh Affairs has been commissioned by Carnegie UK Trust to work with others to help address these policy and information gaps and to support the development of vibrant, innovative and empowered town communities. The Understanding Welsh Places project is also inspired by the success of the Carnegie funded Understanding Scottish Places website. Understanding Welsh Places is a collaborative project. We are working with a cross-sector group of interested people to shape the content and design of the website. These partners come from a range of backgrounds, including place-making, geographical and statistical data, evidence-based policy-making, public engagement and community work. Of course, we are also working with target users of the Understanding Welsh Places website to make sure it meets their needs. An initial version of the site will be launched in summer 2019 following user testing. We will continue to adapt, update and add to the resource in years to come to reflect feedback from people who use it and changes in the information available about Welsh towns. Understanding Welsh Places Project Officer Elinor Shepley joined the IWA in April 2018. Elinor will be with us until December 2020. We held focus groups at five locations across Wales in autumn 2018 to find out more about the data and information that people in Welsh communities would like to see on the Understanding Welsh Places website. Participants included representatives of town and community councils, community groups, social enterprises, towns teams, voluntary organisations and local authorities. Feedback from the focus groups has helped to shape a detailed specification for the site. A contract to build the Understanding Welsh Places website and perform related data processing was put out to tender in November 2018. In February 2019, this contract was awarded to a consortium led by the Wales Institute of Social and Economic Research, Data and Methods (WISERD) at Cardiff University. The WISERD team is working with the Centre for Local Economic Strategies (CLES) in Manchester to deliver the inter-relationships analysis for UWP. CLES will be applying algorithms developed for the Understanding Scottish Places website to data specific to Wales. 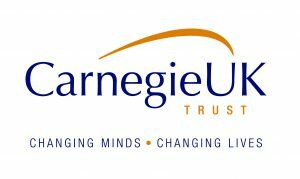 The Institute of Welsh Affairs gratefully acknowledges funding support from the Carnegie UK Trust. The development of the Understanding Welsh Places website itself is funded by both CUKT and the Welsh Government.